Dellane Joy (Schissel) Tressel, 58, of Dubuque, Iowa passed away on October 18, 2018 at home following a battle with cancer. Visitation will be from 2:30 p.m. to 4:30 p.m. Wednesday, October 24th, 2018 at Leonard Funeral Home & Crematory, 2595 Rockdale Road. Burial will be at a later date in Mount Calvary Cemetery. 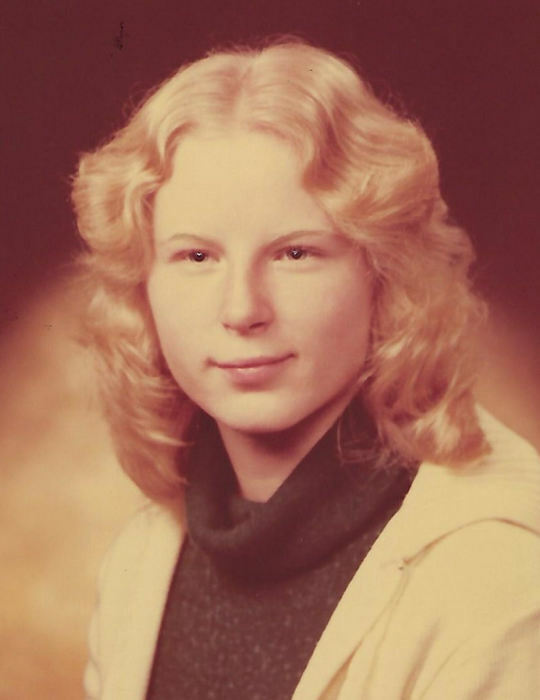 Dellane was born on September 20, 1960 at Xavier Hospital in Dubuque the daughter of Vern and Sharleen (Smith) Schissel. She attended St. Raphael’s Grade School, Washington Jr. High, and graduated from Senior High School. She worked at the Villa for over 25 years, along with Manor Care, Stonehill and Seven Hills Brewing. Dellane was a loving mother and grandmother. She took many trips with her mother to National Parks across the United States. She enjoyed movies, bowling and shooting pool. She especially enjoyed going to concerts with her best friends Pam and Martha. She is survived by her husband Steve; her sons, Anthony, Randy (Katie), and Eddie. Her grandsons, Aiden, Killian and Jemar. Her mother Sharleen Schissel; brothers Jay (Eileen) Schissel, Tom Schissel, John Schissel and a sister Lori Schulz. Her very best friends of 40 years, Pam (Ahern) Lenz and Martha (Grace) Wallace, and brother-in-law Jeff Swift. She was preceded in death by her father Vern Schissel; one sister Peggy Swift and a brother Frank Schissel; sister-in-law Penny Schissel. Thank you to Hospice of Dubuque for all the help and care given to Dellane on her final journey.